Lose iPhone Data after iOS 12 Update? Solutions are Here! Home> Resource> iOS Recovery> [Fixed] How to Recover iPhone Data after iOS 12 Update? [Fixed] How to Recover iPhone Data after iOS 12 Update? Ordinarily, it should be beneficial to update iPhone to iOS 12. However, some problems or issues may come out during or after the update. And one of most common issues is that iPhone data is lost after iOS 12 update. This issue could be caused by many reasons. But no matter for what reason, you are still able to recover data after iOS update. For those who have not backed up their iPhone data beforehand, it is doubtless that they need to turn to a professional recovery tool like iPhone Data Recovery. This software enables users to restore deleted, lost or formatted files from iOS device easily. It can recover more than 10 types of files from iDevice, including text messages, contacts, call history, Safari, notes and so on. 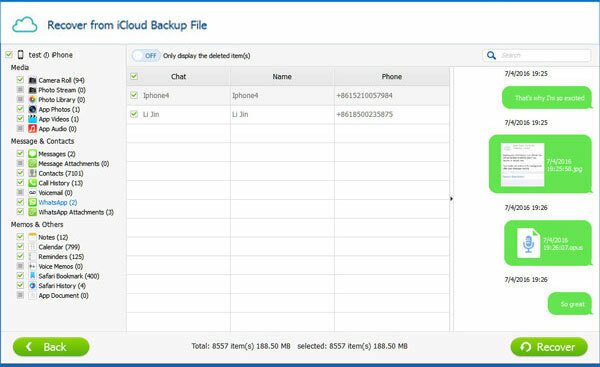 In addition, it offers 3 recovery modes: Recover from iOS Device, Recover from iTunes Backup File and Recover from iCloud Backup File. The Recover from iOS Device allows users to restore the phone data without backup. So if you do not have a backup after losing the files, you can use this mode to get back your data. Just tap on the icon below to download and install the program on your computer. Then you can follow the steps to restore the lost data. Step 1. Open the installed program on your computer and then build a connection between your iPhone and computer by using a USB cable. Step 2. 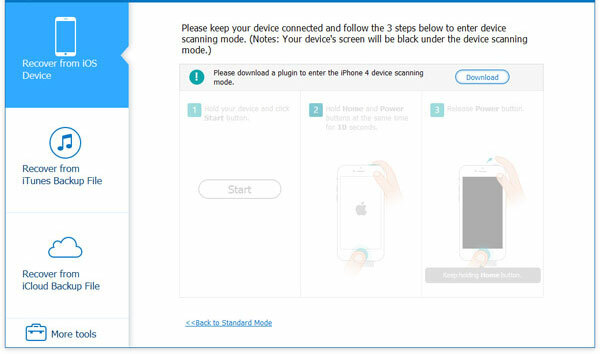 After that, you need to keep your device connected and follow the onscreen prompts to enter the scanning mode. Step 3. When the scan is completed, all the files on your iPhone will be categorized. Just tap on different folders in the left panel and the corresponding contents will be displayed in the right column. Step 4. Now you can mark the files you want to restore and tap on "Recover" at the lower right corner to begin the recovery. Provided that you have backed up your iPhone data to iTunes beforehand, then it would be much easier to extract the lost data after iOS 12 update. 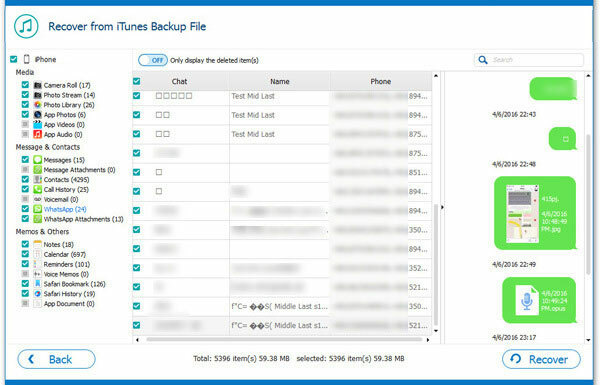 To restore iPhone data from iTunes backup, you can choose to use the recovery tool also or directly restore the backup from iTunes. The followings are the detailed tutorials for your reference. Step 1. Launch the program on your computer and go on to choose the "Recover from iTunes Backup File" mode. Step 2. After selecting the mode, all iTunes backup files of your device that have been synced to iTunes on this computer will be detected and listed. Step 3. Select the backup file that you want to recover and tap on "Start Scan" button. Step 4. When the scanning process ends, the backup file will be displayed in the program. At this moment, you can preview the data. Step 5. At last, you need to tick off the files you want to retrieve and tap on "Recover" to get them back. Step 1. Run iTunes on your computer and plug in your iDevice with a USB cord. Step 2. Tap on the iPhone icon and choose "Summary". Step 3. In this section, you need to click on "Restore Backup" and then elect the backup file you want to restore. Step 4. Finally, what you need to do is just to press the "Restore" button and wait till the restoring process ends. 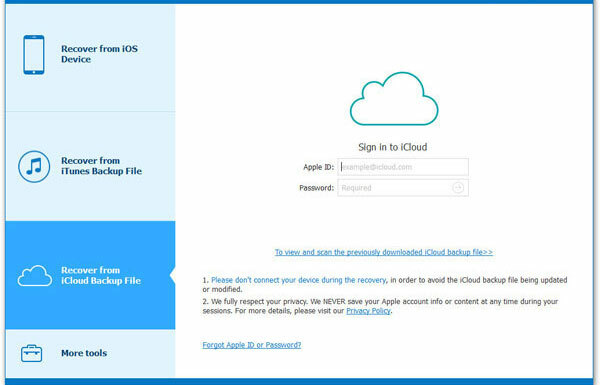 If you like to backup your phone data to iCloud in usual, then you can easily get back your lost data after iOS 12 update as well - restore the data from iCloud backup. To complete that, you have two options as well. See also: Will You Backup iOS Files with iTunes or iCloud? Step 1. Open the suggested program and choose the mode "Recover from iCloud Backup File" from the menu. Step 2. Then you will be asked to log in iCloud with your Apple ID and passcode. Just type in your account and password as required. Step 3. After that, your iCloud backup file will be displayed on the software. Just choose the files you want to recover and hit the "Recover" option to retrieve the data. Step 1. Go to "Settings" on your iPhone and then choose "General" under this section. Step 2. Next, you should tap on the "Reset" option and continue to select "Erase all content and settings". Step 3. Then you need to set up your device. Just go with the onscreen prompts to perform the setup. When you reach the "Apps & Data" page, you need to click on "Restore from iCloud Backup". Step 4. Now you should sign into iCloud with your Apple ID and password and then choose a backup. That's all for how to recover data after iOS 12 upgrade. You can choose one suitable method according to your actual condition to recover your lost iPhone data. And after getting back the data, don't forget to make a backup for your device regularly. How to Recover Deleted Messages on iPhone Xs/Xs Max/XR? iPhone Frozen During iOS Update, How to Fix It? User Guide: How to Fully Use iOS 12 Screen Time? [3 Ways] How to Do Group FaceTime in iOS 12?